In response to the customary cordial greeting, "How are you?" I often reply, "I'm great! And, I'm grateful!" I decided, years ago, that I will express my thanks every opportunity that I can find. That resolution has transformed my life! I believe that gratitude is part of our divine immunity system against the darkness, discouragements, and contagions of this world. You cannot be bitter and grateful at the same time. You cannot simultaneously be both grateful and oppressed. The reason for this dichotomy is because gratitude is the expression of acknowledging what you believe. Giving thanks is a vital element of active faith. Rather than thinking on and talking about what you don't have, let your heart be full of gratitude for what you do have. It takes a bit of effort to shift your focus, but it is so worth it! Rather than pondering the pain that others have caused you, meditate on the mercies that God has shown you. If you want your heart to be healthy and strong, have a heart that is "great-full!" Be sure to fill your heart, to the full, with a testimony of all the great things God has done for you! 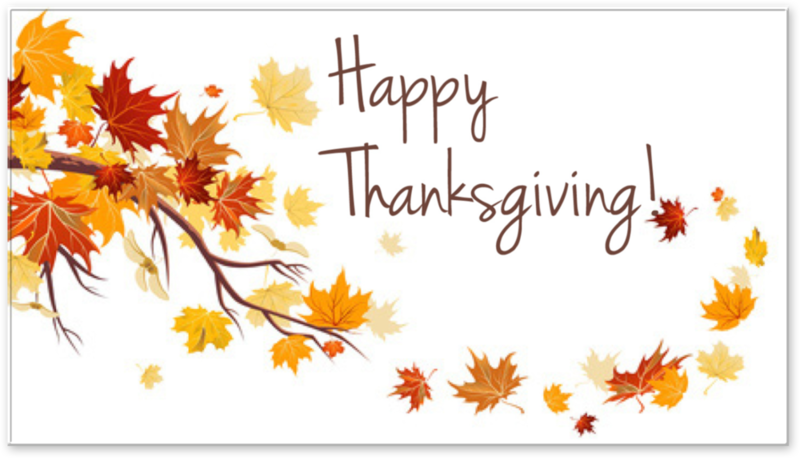 Wendy and I hope that you and all of your family have a Wonderful Thanksgiving and Beautiful Holiday Season! You can stay connected to SDCWC easier than ever before! Download our APP to enjoy: Sermons, Upcoming Events, Social Connections, Blogs, Giving and more! Click to download today! Or search your App Store for SDCWC and download for FREE! He's One Of Us But He's Not Like Us!